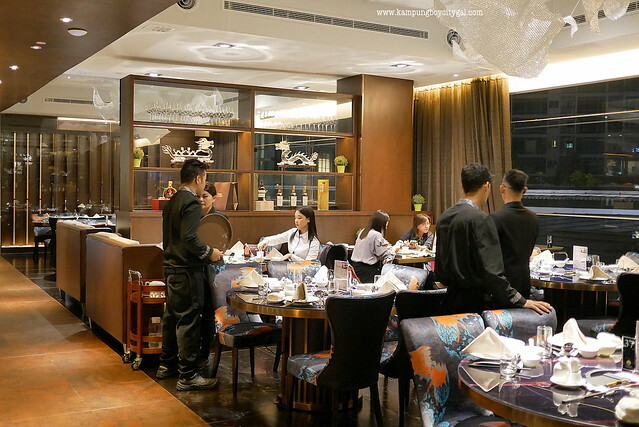 Located on the 9th floor of Pavilion Elite, Grand Imperial Seafood Hotpot & BBQ is a brand new concept store under the Grand Imperial Group. This part of the mall is easily accessible from the lift/escalator at Level 3, The Connection (where Coffee Bean, Johnny Rocket, Gelato Fruity and etc are located). 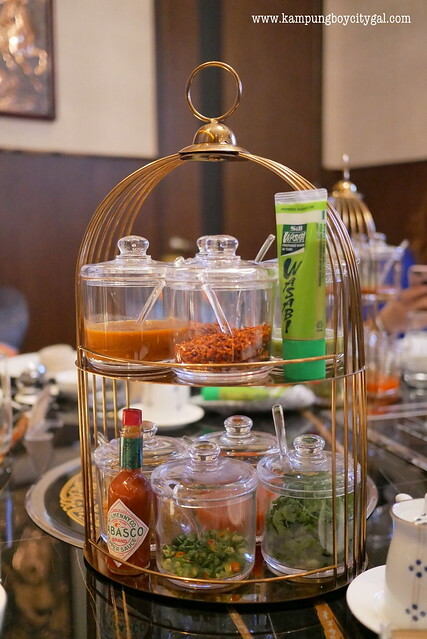 This particular outlet is a PORK FREE outlet and specialises in steamboat and barbecue, hence we were presented with a special “sauce bar”, comprising of many special sauces for customers to create their own individual blend of dipping sauce. 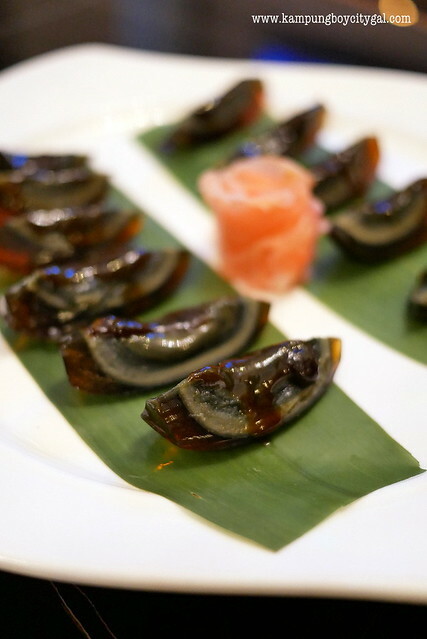 We started off with some appetisers such as century egg with Japanese young ginger and grilled fresh Hokkaido scallops. 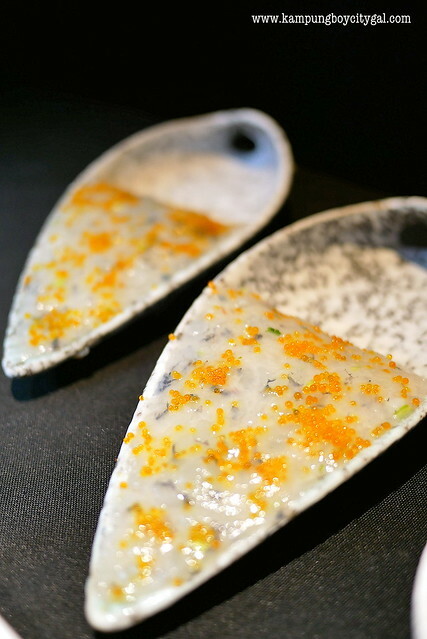 We loved the creamy gooey green yolk of the century egg. 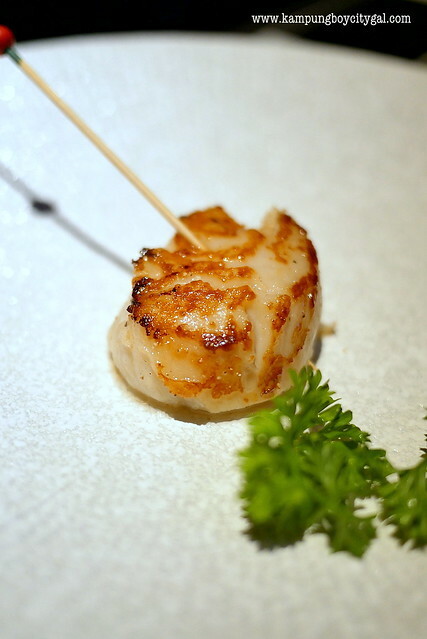 The freshness of the Hokkaido scallops is second to none. The chef did a good job in maintaining a plump flesh and a succulent inside with an exterior beautifully seared to a delicious crisp and brown crust. So good! 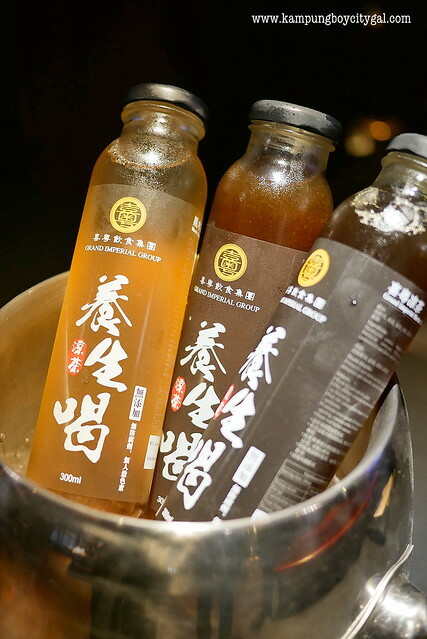 Grand Imperial’s home made Chinese herbal drinks such as the double-boiled red date with black fungus, double-boiled Chuan Bei chicken grass herbal tea and double-boiled fig sour plum ( suanmeitang) are the perfect accompaniments to our pipping hot steamboat dinner. It is believed that those drinks help to aid in digestion and help restore your body’s temperature equilibrium. 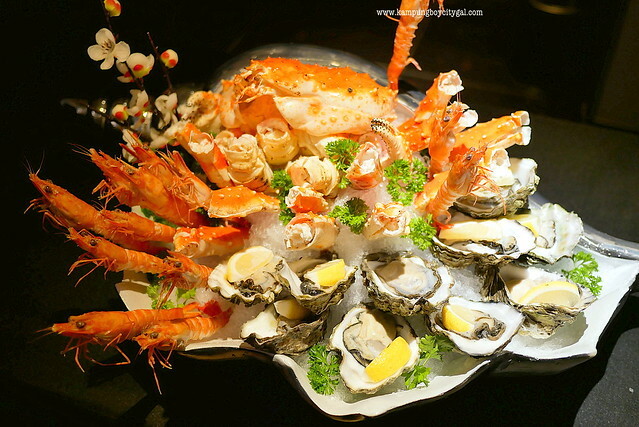 An array of indulgent seafood platter like this makes a stunning centerpiece. 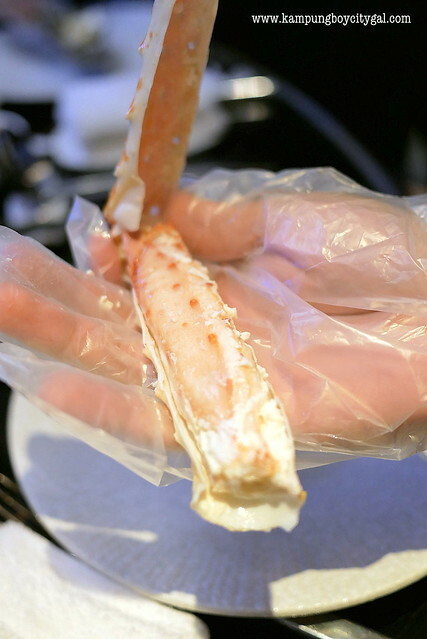 It may come with a slightly heftier price tag but the platter that consists of king prawns, freshly shucked Canadian oysters (bigger than my palms) and Hokkaido King Crab is something to behold. Everything that we had was remarkably fresh, no joke! I like how the restaurant is keeping things simple to let the sweet, delicate flavor of the crab meat really shine. 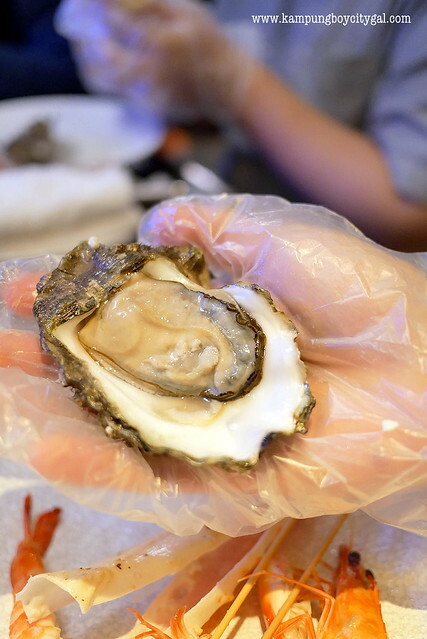 There is nothing quite so divine as the creamy sweetness of a super plump oyster. 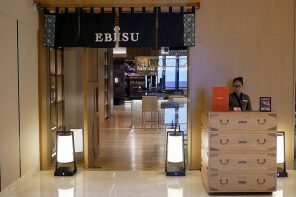 Patrons are able to choose from eight different soup bases, specially curated by group executive chief chef Chew Yow Chuen. 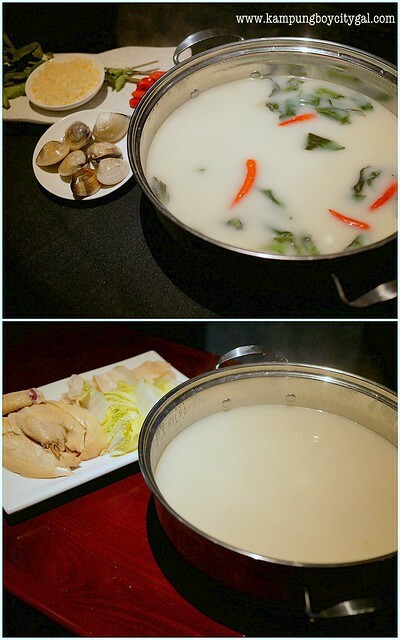 We tried the ‘lala’ soup with basil leaf and thick chicken soup with fish maw and kampung chicken. The lala soup with basil leaf is peppered with chilies and basil leaves, giving it an extra kick. Packed to the brim with collagen that’s extremely nourishing, the creamy white chicken soup is simmered intensely for long hours with kampung chicken (free range chicken). My top favourite is of course the full-bodied chicken broth! It has been a while since I last had geoduck. It was as good as I remembered! The siphon, or ‘neck’ was so sweet and crunchy. 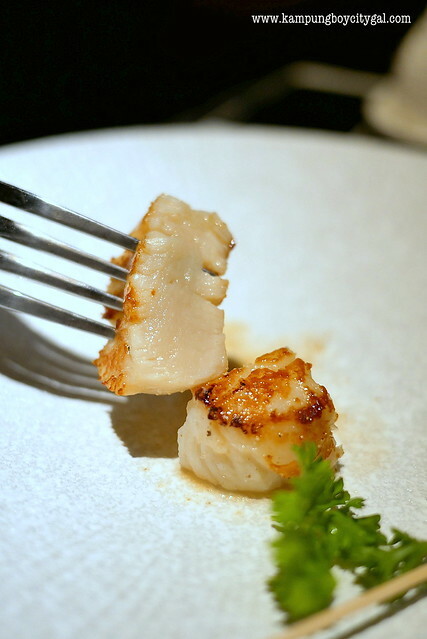 It has a bright clean clam flavor and is best eaten raw. We also tried dipping some into the soup base, it gives the geoduck slices a completely different texture but still good! 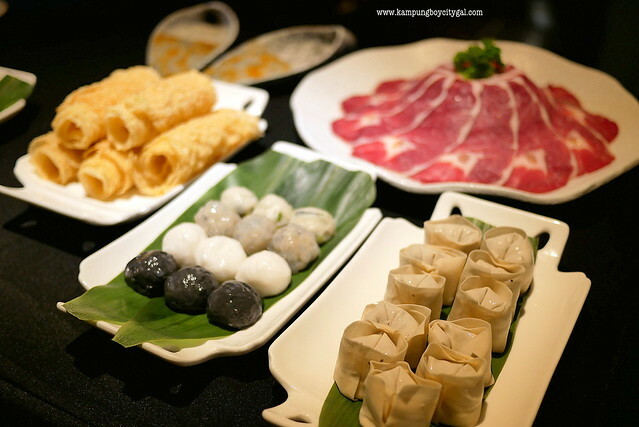 Here in Grand Imperial, patrons get to savour a range of handmade dumplings such as black truffle dumpling with minced chicken, fish ball, prawn ball cuttlefish ball, black cuttlefish ball and sea prawn paste with black truffle. The black truffle dumpling with minced chicken was really memorable, it was bursting with meat juices and strong truffle flavours while we bite into it. We also love the bouncy cuttlefish balls with nice seafood flavours. Hiong Ling (HK style beancurd skin) is a must for me whenever I have steamboat. 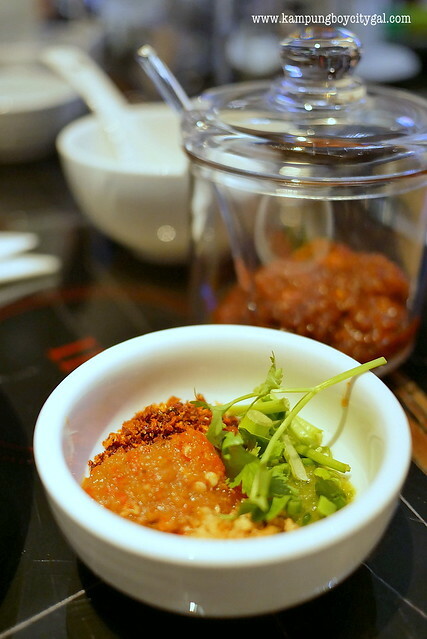 The restaurant’s version was deep fried to perfection – consists of multiple thin layers and not oily at all. 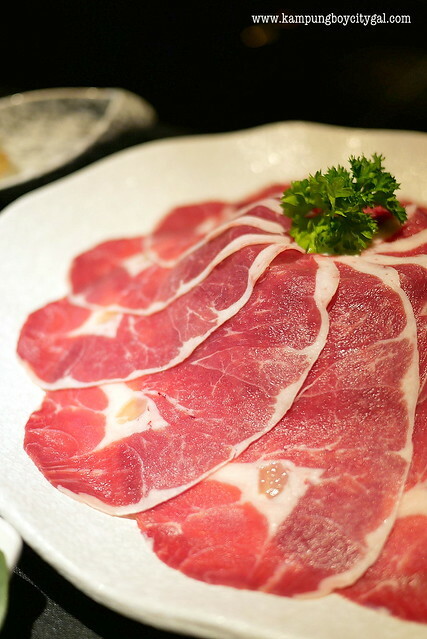 If you feel like splurging, great cuts of meats such as Australian lamb and Japanese A4 Wagyu with exquisite marbling are available in the menu. Remember to dip it briefly in the boiling soup (ala shabu shabu style), you do not want to overcook these beautiful cuts of meat. 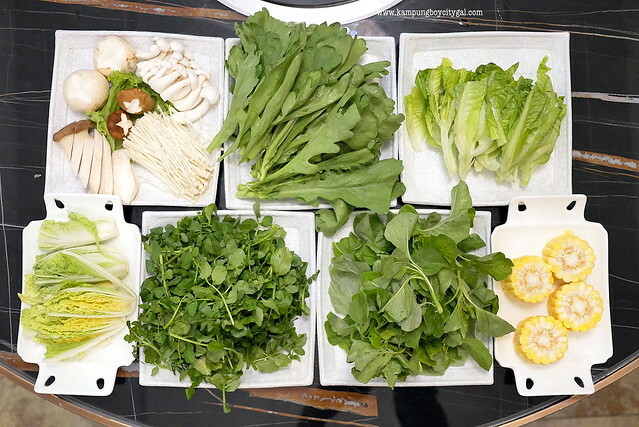 I really like the fresh vegetables and mushroom options here. 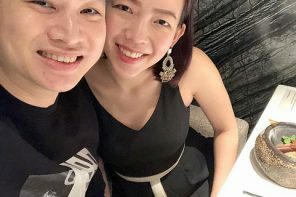 There are also individual seafood hotpot sets and individual imported beef sets available, priced at RM107.80nett and RM206.80 nett per person respectively with a minimum order for two. 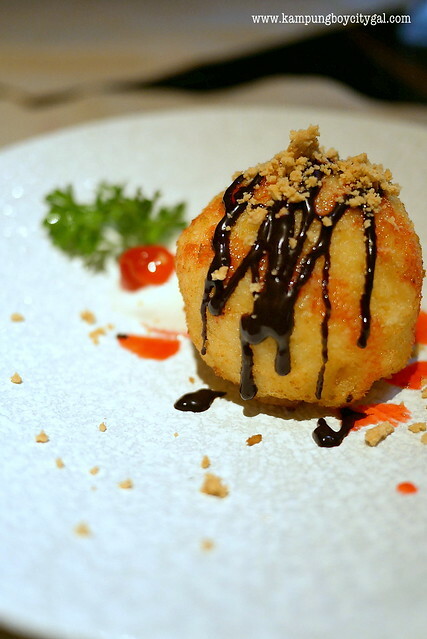 We ended the meal with sinful sweet treat – deep fried ice cream. 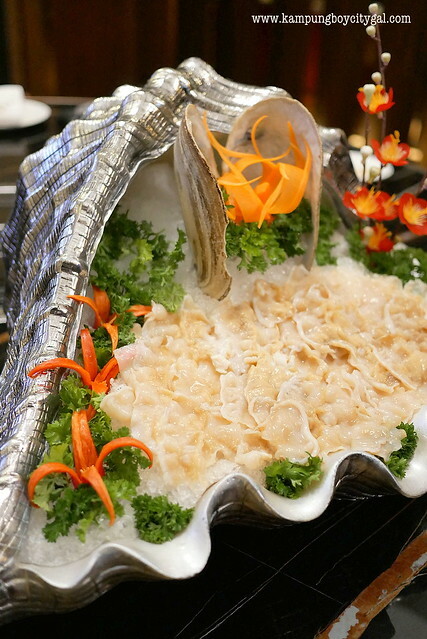 If you feel like indulging in a high quality steamboat dinner with great comfort, remember to drop by Grand Imperial Seafood Hotpot & BBQ at Level 9, Pavilion Elite. 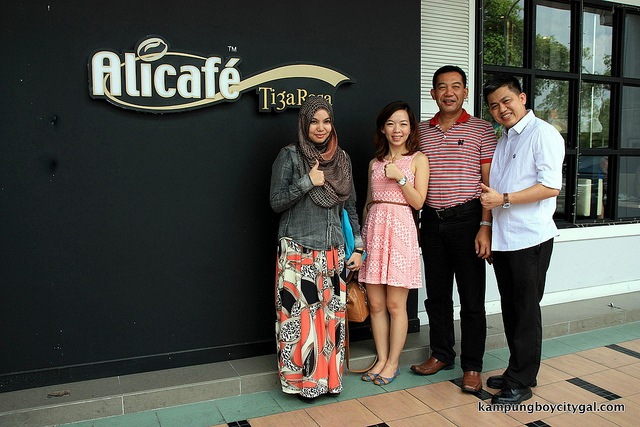 We revisited for dim sum and la mian on a lovely Sunday morning and the food quality remained top notch! 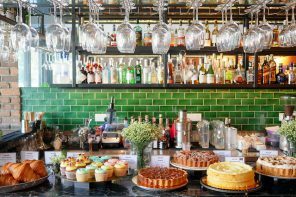 This particular outlet is also running a special weekday lunch time promo from just RM18.80 nett. Add: Lot 9-105.00 Pavilion Elite Shopping Mall 165, Jalan Bukit Bintang 55100 Kuala Lumpur.